On February 4, Chad Bedlington, the new public works director for the city of Ferndale, was arrested after allegedly being caught holding an open can of beer while trying to start his vehicle by police. This incident occurred at approximately 1 a.m., after Bedlington had left a pub in Bellingham. On October 12, the new public works director was terminated by Mayor Gary Jensen. Bedlington was formerly employed by the city of Bellingham as superintendent of maintenance and operations. He was hired by Ferndale in September of last year, with his six month probationary period ending the first of February this year, just before he was arrested on suspicion of DUI. In late January, a $95,000 per year contract was approved at a City Council meeting. According to the terms of that contract, he will receive four months’ severance pay following his termination. In the state of Michigan, open containers of alcohol are not permitted by either a driver or passenger when the vehicle is being driven. Any containers that have been opened must be stored in an area where anyone inside the vehicle will not have easy access, such as a trunk. Anyone found with an open container in a vehicle may face misdemeanor charges, which could result in a maximum of 93 days in jail and a $500 fine if convicted. 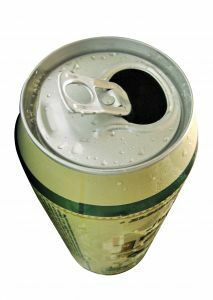 In addition, those found to have open containers containing beer, wine, or other intoxicants may face DUI charges in some cases. Driving while under the influence is a serious criminal offense that may result in an individual not only losing his/her freedom and facing substantial fines, but driver’s license suspension, community service, a criminal record, and more. As evidenced above, offenses involving alcohol can bring an abrupt end to someone’s career. Ultimately, your reputation and even future job opportunities may be in jeopardy. If you have been arrested or charged with open container intoxicants in a motor vehicle or any DUI offense, you do have legal rights that must be protected. An arrest does not equal a conviction! Consult with a skilled and aggressive Michigan DUI defense attorney immediately so that work can begin to protect your freedom, reputation, and career.